UMSU spoke out and voted against a motion supporting the boycott, divestment and sanctions (BDS) movement and condemning the illegal occupation of Palestine by Israel according to international law during the Canadian Federation of Students (CFS) annual general meeting Monday night. 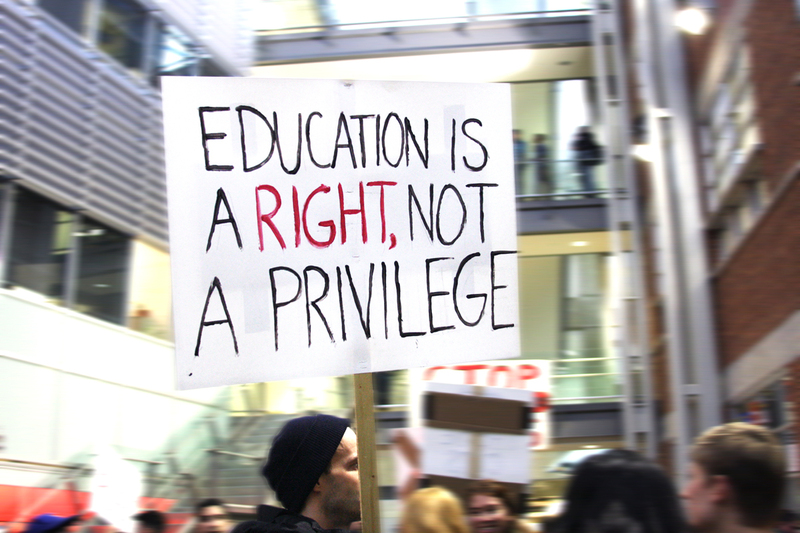 CFS is an organization representing over 500,000 students at 64 student unions across Canada. “My problem is not necessarily as much with the BDS movement, my problem is with this motion and with the idea of a student federation getting involved in this,” he said. Sanderson said choosing to abstain from the motion entirely would have been unproductive. “I would say that essentially by voting against this, it’s the idea that we should essentially, as a student union, be abstaining from this issue,” he said. UMSU’s bi-weekly board meeting will be held today but Sanderson said there would be no motions on the issue advanced by the executive. Groups across Canada have spoken out on both sides of the motion from CFS. Independent Jewish Voices Canada, a “grassroots organization grounded in Jewish tradition” that has eight student chapters across the country released a statement supporting the CFS motion. Ariel Glikman, a third-year science student and member of the U of M’s Hillel Winnipeg branch, called the motion an act of anti-Semitism. “It’s either that the CFS is ignorant as to what BDS stands for, or that they are blatantly anti-Semitic,” he said. The BDS movement has been the topic of contentious debate since its formation in 2005. While supporters say the movement seeks to solely confront Israel’s policies, critics — including Prime Minister Justin Trudeau — associate it with anti-Semitism. “Essentially, their demands call for the destruction of a Jewish state, which isn’t called for to any other country in the world, and that’s what makes it anti-Semitic,” Glikman said. He added that he believed the motion’s existence is indicative of a wider failure within the federation. “I feel like I’ve been disrespected by a federation that’s mission is to represent students,” he said. “I’ve come up with many Jewish students that feel with this motion that they are not represented by the CFS, an organization that they pay fees to and that UMSU is a member in,” he said. Co-VP external for the Arab Students’ Association and external relations manager for the Muslim Student Association Qudus Abusaleh, who previously worked as a reporter for the Manitoban, said calling the BDS movement anti-Semitic disregards its historical context. “I strongly believe that calling BDS an anti-Semitic movement really shows that the essence of the movement is not understood,” he said. In 2013, UMSU passed a motion de-recognizing a Students Against Israeli Apartheid group as a student group on campus, which was later criticized as an infringement of freedom of speech. Sanderson said he would not support a similar motion to remove BDS groups from campus should it come to a vote today, as long as they followed UMSU student group policies. “What I would not do is support a motion on UMSU’s board, or CFS or any other organization for that matter, that goes out and says that a BDS group is entirely unwelcome on our campus, because I don’t think that’s right,” he said. Abusaleh said the response to the motion by UMSU has made it more difficult to open up a discussion on the subject. “The union going against the motion sort of decreases, or narrows, the discourse,” he said. He added that UMSU should take a closer look at where it stands on the CFS motion. “The union should consider changing its position on it,” he said. Sanderson said he was concerned for students who may feel “othered” by the motion’s passing. “I am troubled that the CFS would come in and introduce a motion that quite clearly alienates many students that pay their membership fees to the Canadian Federation of Students,” he said.